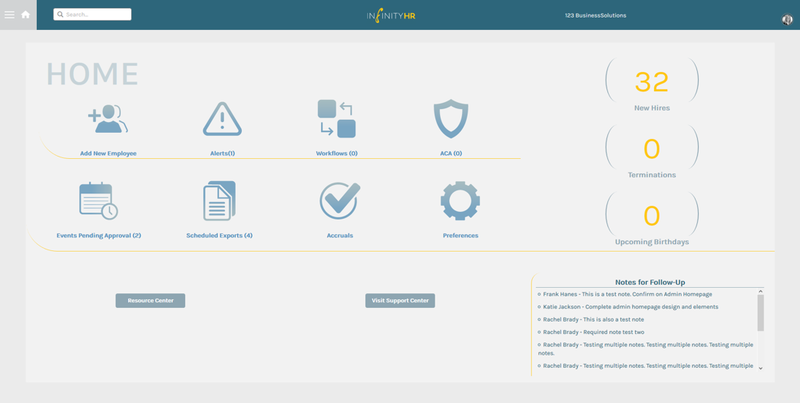 InfinityHR is a powerful Internet-based Human Resource Management System (HRMS) that provides for extensive automation of all HR-related activities. 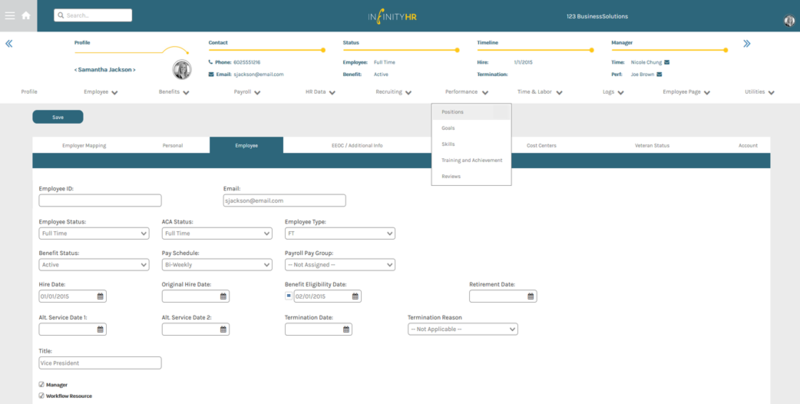 InfinityHR brings together the most essential HR tasks in one place, simplifying processes and allowing teams to get back to the work that matters most. Companies need personalized and efficient HR solutions that work as creatively as they do. They need an innovative HCM solution that keeps them on the edge of modern technology, while seamlessly connecting to their current business strategies. InfinityHR stands out above the crowd as an ambitious innovator that places people at the front of all its products. Our cutting-edge and cost-efficient solutions simplify the workload for the HR department in mid-size businesses, giving them the tools to manage their HR processes, and allows them to get back to the work that matters. Our powerful HR software solution provides comprehensive human capital management, benefits management, payroll, compliance, extensions, and an innovative mobile app, in one completely integrated and secure system. 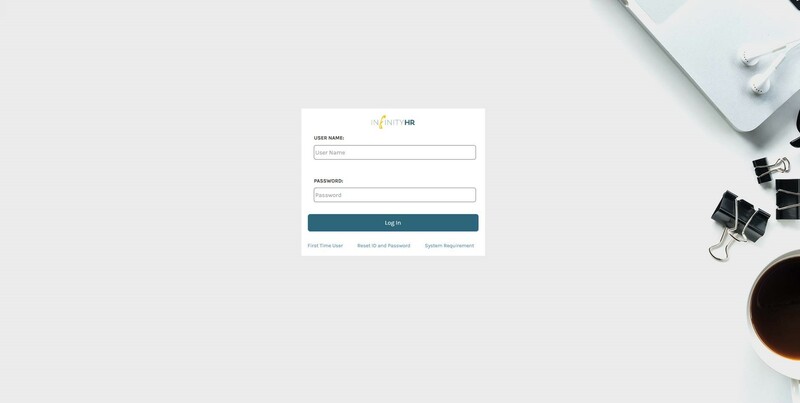 This includes interfacing capability for both payroll and insurance carrier systems, and links with dozens of major partners. Many of InfinityHR’s features and modules are designed to increase communication between employees and administration, paving the way for a happier and more engaged company atmosphere. With streamlined HR processes, our clients are able to complete work faster and more efficiently, allowing them to grow their skills and impact outside their prescribed job descriptions. All InfinityHR features help you manage your processes to achieve your core objectives. In an industry revolving around people, our people are the difference. We understand the needs of growing businesses, and work to provide individual support. We focus on building strong relationships in order to better understand your needs, and how we can evolve to help you. Hi there! Are you looking to implement a solution like InfinityHR?